That emotion swings back and forth within me, depending on what’s going on in my life. If I were to try to define it, I would say it’s when reality fails to stand alone and justify itself. Maybe I should explain what I mean by that? If you’re doing something you really enjoy doing, sort of lost in the moment, totally immersed in that thing, whatever that may be, you’re not thinking, “What’s the point?” That’s not when you’re searching for meaning. During those times, you’re not searching for anything. You’re in alignment with something beyond yourself, and reality justifies itself. Life has meaning during those times. Life seems to lose meaning when that feeling of inner satisfaction is gone. Life no longer justifies itself. We start asking, “Why am I experiencing this?” There’s something intrinsically lacking in what we’re experiencing and our emotions are reacting to it with disgust and disappointment. We may even ask ourselves, “What did I do to deserve this?” It seems so pointless that we’re suffering, and we try to use our reasoning to make sense of it, even invoking our moral reasoning. Why am I suffering like this? Why am I feeling so miserable? It must’ve been something I did! We all seem to crave a world where everything is meaningful and delightful but instead we’re left in a world where most things leave us exhausted, bored, and frustrated. To find things infused with meaning and joy requires a real search, and even then, the joy they offer is so often ephemeral and transitory. That got me thinking why spiritual lessons are so important. The first would be to be thankful. When you find something wonderful, enjoy it, but expect to suffer a lot in life. And when you do find yourself in a dark time, don’t make yourself and everyone around you more miserable than need be. It’s very easy to make things even worse by raging, complaining, and whining. My mother used to always tell me that this life is God’s way of testing our character. We’re put in trying situations and we’re being watched to see how we’ll react. Personally, I find all of that hard to believe, but it is a beautiful thought. I doubt the universe has any sort of simple purpose or meaning, but I do know that she’s right about this world testing your character. Life often seems to be testing me. There’s always this “dark road” I could go down, offering me all kinds of nice things, only if I’ll compromise on values I hold. I know I’ve mentioned this before, but when I look up on the walls of the physics building, there are all these posters. Come work for the U.S. Defense department! We’ll pay for all your school, we’ll pay you lots of money while you’re in school, and we’ll guarantee you work once you graduate! I look at that and it’s like I see the devil’s face, baiting students. They do the same thing to computer science students. Just recently it was announced that the NSA is offering millions of dollars in scholarships to comp-sci students at my university, but only if they’ll come to work for them once they graduate. If you’re willing to give your life to big brother and the surveillance state, they’ll set you up for life. And after all, why not live an easy life? Why should you worry about all these other people around you? Build weapons of mass destruction. Build chemical weapons. Build an infrastructure of spying and monitoring of innocent civilians. Do it! You’ll earn lots of money and won’t have to graduate with $100,000 in debt. C’mon, it’s so easy! I oftentimes want to rip the posters down, but I don’t. My life would be easier if I took an offer like that, but it’d be a worthless victory. How can you be happy when you know your success came at so many other people’s misery? This reminds me of a Buddhist concept called Indra’s net. We are the jewels hung in Indra’s net. None of us exist in isolation. In the Rg Veda, Indra used this net to entangle and trap people. When you turn away from the light, you become trapped in this web, lost in darkness. I know this is an overused cliche, but things are deeply interconnected in this world. 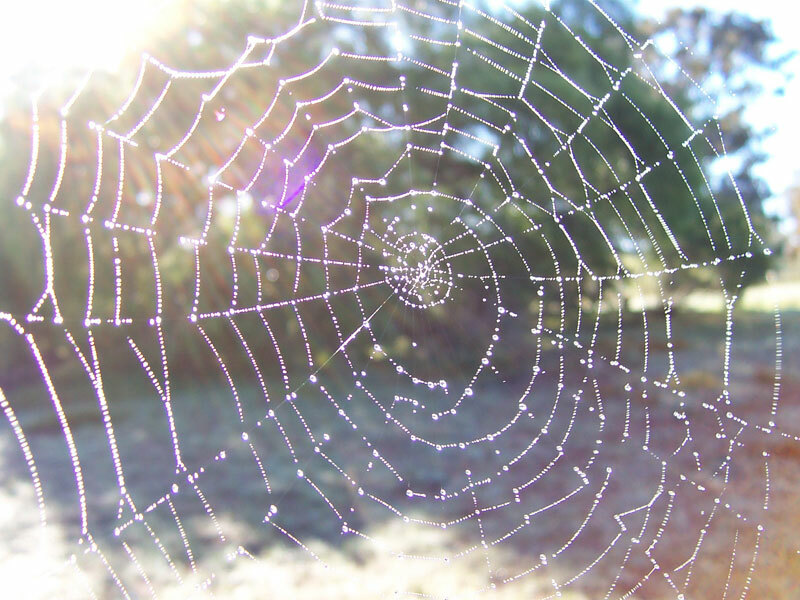 When you turn away from the light, you start shaking the web and others get trapped as well. It sets off a nasty chain of events. I refuse to take part in building weapons and waging war. Other people deal with similar trials of their own. Sometimes I see these young female artists being interviewed and I worry about them. They tell how they didn’t want to dress skimpy for their music videos, but they were told they had to in order to be successful. You have to refuse those sorts of things. This world will never stop. It will keep demanding more and more from you until everything around you is so ugly and dark, you’ll wonder why you ever sold your soul to the devil. Respect yourself. No amount of success is worth your integrity. We’re all nodes on Indra’s web, but people are confused about who they are. They get this mistaken belief that the only way they can succeed is by dimming the light which is trying to shine through them. It’s the opposite. You have to let it through you. And if there’s no light around you, it’s time to find a new place on the web. Don’t stay there. Can you explain more what you mean about reality justifying itself. How does it do that? To whom? How is there no interpretive layer there from a person?